My name is Richard Alton (Tex) Washburn Jr. I was born in Texas, where my father was stationed after World War Two. Being born there was the reason for my nickname of Tex. I’m the oldest child in the family. I have one sister and 2 brothers all living in the area. I have 5 sons and 3 daughters ranging in age from 24 to 43. I also have a granddaughter Skyler. I was raised in Middleborough, attended and graduated the local school system in 1974. I achieved the rank of Eagle Scout in Boy Scout Troop 13, and had a number of leadership positions within the troop as I advanced up the ranks. I joined the Middleborough Army National Guard unit in 1980 and primarily worked as a mechanic within a number of different National Guard units around the state until I retired as a Sergeant First Class in 2011. During that time I had an overseas deployment to Kosovo from 1996 – 1997. Over my many years of working I had a number of positions from farming to working as a member of the Middleborough Department of Public Works (DPW). I worked for the town from 1988 to 2011, and I went into retirement after my stint on the DPW. 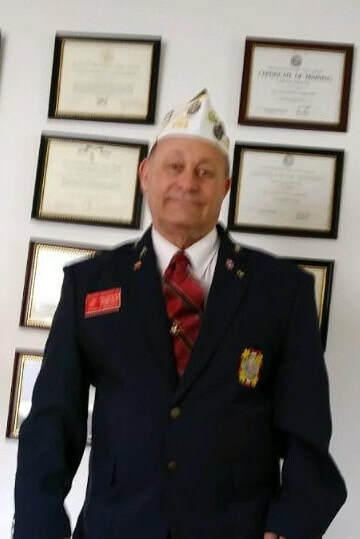 I have been an active member of the John F. Glass Veterans of Foreign Wars (VFW) post number 2188 in Middleborough from 2004 to present, holding just about every officer position over the years. I served as the post commander 2 different times for a total of 3 years and currently I’m their Quartermaster. I have also been a member of the Simeon L. Nickerson American Legion Post number 64 also in Middleborough since 2014. Within the Legion I’ve been the Junior Vice commander for a couple of years and for the past two years I’ve been the Senior Vice Commander. I also serve on the Legion’s nursing home visitation committee. This group goes out to the local nursing homes once a month to visit and bring camaraderie to the residents that are veterans. Over the past several years I’ve also been on the Legion committee that runs the Labor Day Coffee Stop on Route 495. We provide a safe place for the travelers to and from Cape Cod to stop and partake of beverages and other refreshments while they rest up for the next leg of their journey. Additionally I am a member of the Middleborough Veterans Honor Guard. This group is made up of local veterans, and they primarily do the military honors at funeral homes and cemeteries for local veterans at the time of their passing. They also get called upon to do a number of honor guard ceremonies at local functions and activities ranging from softball and football games to the annual blues festival. I chose Simeon L. Nickerson and John F. Glass as my honorary deputy mayor candidates for a few reasons. Both of them were Middleborough World War One heroes that lost their lives in defense of our great nation. Additionally the local VFW and American Legion posts were named for them. 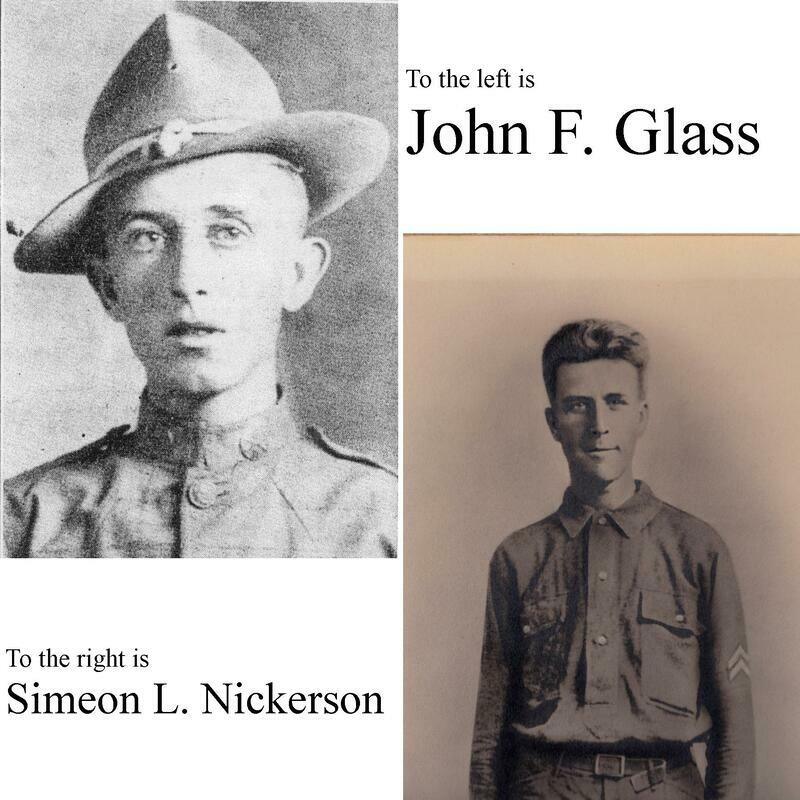 Finally, Nickerson Avenue and John Glass Square were named in their honor. Simeon L. Nickerson was the first Middleborough man killed in action during World War I. John F. Glass was the last Middleborough man killed in action during World War I.
John died at the age of 21 and was buried at Meuse-Argonne American Cemetery and Memorial in France, and remembered with a cenotaph at Saint Mary's Cemetery. Simeon died at the age of 25 and was buried at Oise-Aisne American Cemetery and Memorial in France. 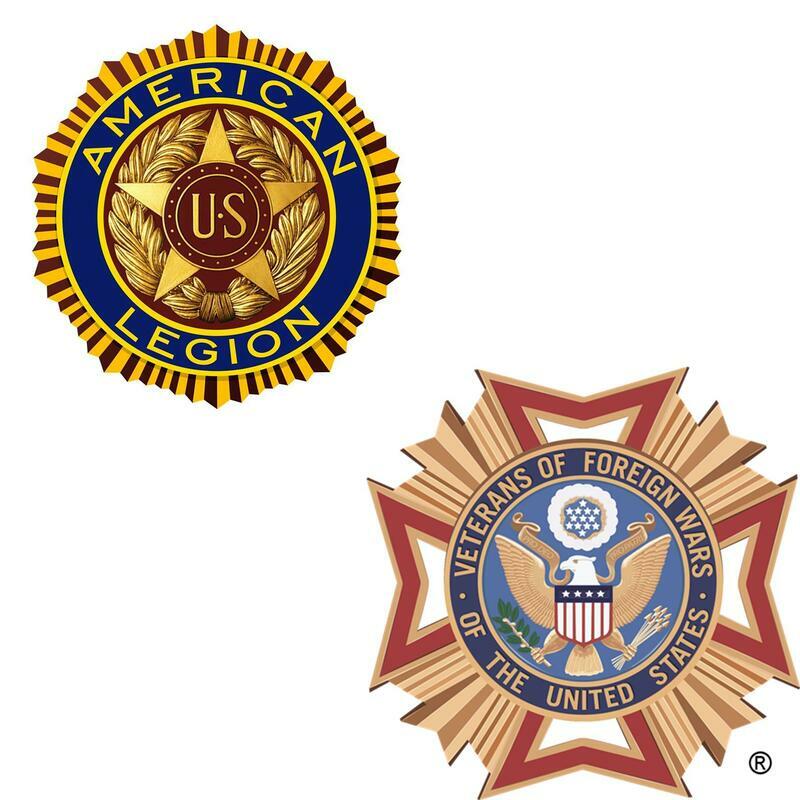 It only stands to follow that my supported causes would be the local VFW and American Legion posts. Who We Are: The Veterans of Foreign Wars of the United States is a nonprofit veterans service organization comprised of eligible veterans and military service members from the active, guard and reserve forces.